Bombino: High-Energy Sounds From 'Agadez,' Niger Since the 1960s, the electric guitar has provided a bridge between international folk cultures and modern pop music. 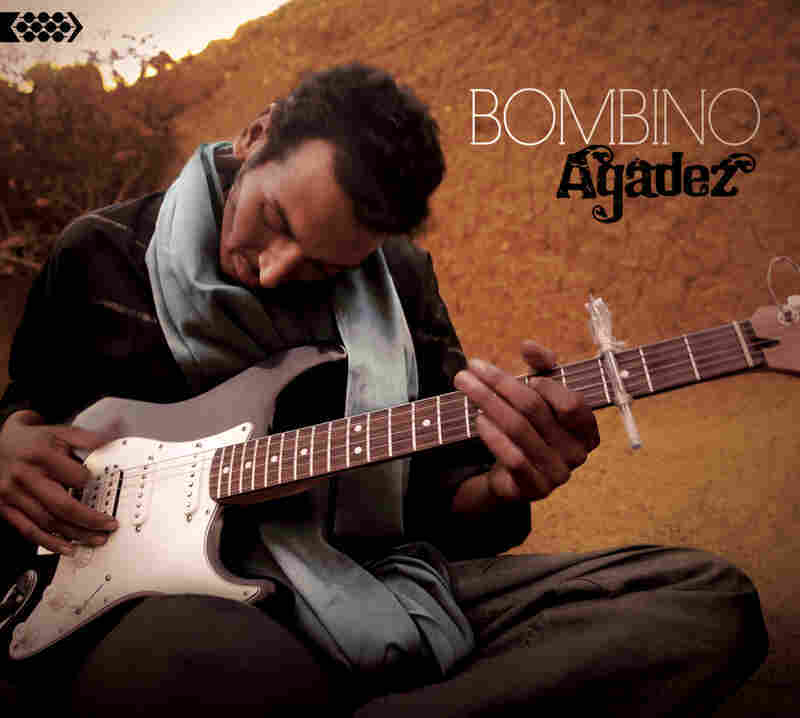 An example today is the singer and guitarist Bombino from Niger, whose album Agadez contains currents of blues and rock, along with traces of African folk. The Tuareg people have lived in the Sahara desert of Western Africa for thousands of years. The harsh desert environment gets woven into those who can adapt to it. So the Tuareg have long been protective of their independent, nomadic-herder culture and society. But not unlike the European Roma, Tuaregs have a tense — occasionally violent — relationship with central governments. As with the Roma, the Tuareg's modern music has become a prime vehicle for both defiance and unification. In the early 1990s, during an armed struggle with the Niger government over water, land and independence, the child Omara Moctar, now known as Bombino, fled with his family from their home in the city of Agadez. While exiled in Algeria, the 12-year-old Bombino first heard electric guitar and was captivated. By 2010, guitar players were no longer considered symbols of insurrection and Bombino could return to Agadez and play openly. Based on his new album, he is clearly a young performer with the charisma and probing imagination to become the first Tuareg star. And he addresses the oldest theme of all in "Tar Hani," which means "My Love." 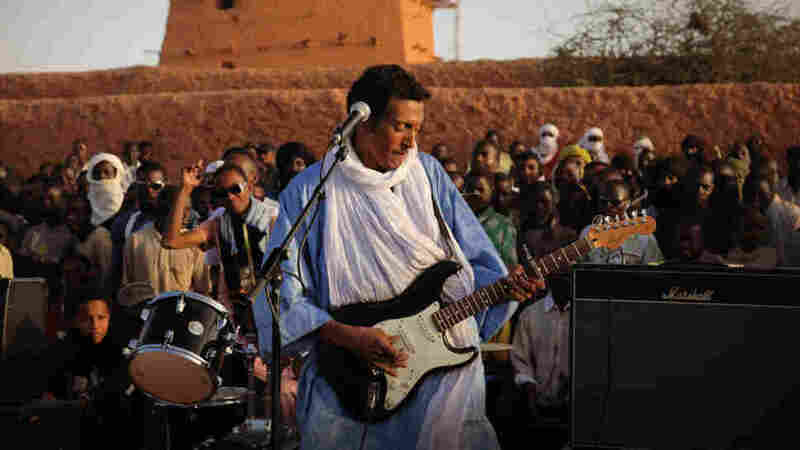 It may sound peculiar to suggest that could be the hit single from the album Agadez, but currents of blues and rock run through Bombino's guitar work, picked up from Jimi Hendrix records combined with influences from the group Tinariwen, the founders of electric Tuareg music, and guitarists from Mali like Ali Farke Toure. Bombino is another example of a player who seems to plug in himself when he plugs in his guitar. Still, he can cast a charming trance on acoustic, particularly resonator guitar, which he often reserves for folk tunes such as one dedicated to "The Desert, My Home." The Tuaregs are Muslims most in tune with the Sufi tradition that treasures poetry — music that draws the community together in festivals of culture. Often, Bombino offers a stripped-down, garage-band treatment of the tradition, with only a second guitar and some gourd percussion and handclaps to back him up. At times, I miss the richness of the Tinariwen band, and its album Aman Iman remains the ideal introduction to Tuareg electric. But if you enjoy the style at all, Agadez has to be part of the package. Bombino makes for a strong frontman — he feels less like a collective than Tinariwen does — and there's no resisting his headlong, six-string rave-ups. Bombino's future is open. He says he's as happy to celebrate peace with his music as he is to use it as a Tuareg call to arms. He'll spread the word this summer on his first extended American tour. In the meantime, you can visit YouTube for some hi-energy performance selections from the recent documentary about Bombino, also called Agadez. The clip that's listed as "Bombino Concert, Agadez" captures the essence of his populism and joy.